Offering an uncomplicated computing solution for all, from laymen to computer professionals, Google has announced a new Chromebook that is not only affordable but also packs latest technology to ease your everyday computing. 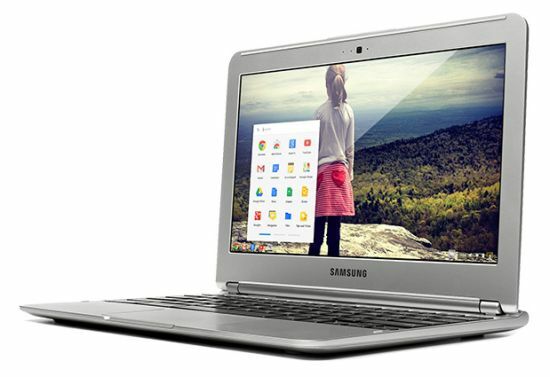 Manufactured by Samsung, the $249 (£229) Chromebook comes with an 11.6-inch 1366 x 768 display and a dual-core Samsung Exynos 5250 processor. Presenting a USB 2.0 and a USB 3.0 port, HDMI output, SD memory card slot, a headphone/microphone combo jack, 802.11n Wi-Fi and Bluetooth 3.0 to ensure better connectivity, the Samsung XE303C13 is just 0.8in (17.5mm) thick and weighs about 2.43lbs (1.1kg) only. Touting 2GB of RAM and a 16GB SSD with 100GB of free cloud storage, the Chromebook lets the user can choose from thousands of free apps with automatic updates to enhance their computing experience.